SophiaTX, the first open-source platform to integrate blockchain with SAP and other Enterprise systems, has announced its intention to facilitate a holistic ‘track and trace’ solution for the transportation of products and medicines in the pharmaceutical industry. Each of the current top twenty prescription drugs (amounting to 10% of the global market in 2016) is produced by a company using SAP software products within their sourcing, manufacturing, or supply chain processes. A joint Letter of Intent (LOI) announced today by SophiaTX and Equidato Technologies CEO Jaroslav Kacina and the General Manager of Riyadh-based KITA Logistics, Nabil Awan, confirms an intended partnership between the two businesses on the design and development of a blockchain solution for pharmaceutical logistics and transport. SophiaTX recently unveiled a working Proof of Concept and published a white paper revealing significant new details on how the platform can be used to facilitate multi-party collaboration across value chains (track and trace), with a particular focus on the pharmaceutical sector. The pharmaceutical industry on its own is a very profitable business. Increased demand, supply shortage, and other market factors open doors to non-authentic drug manufacturers, an issue observable in both branded and generic products. The International Trade Organization estimates the drug counterfeit market between USD $ 70 – 200 billion. Drug counterfeits represent a serious threat to public health and an overall number of deaths caused. SophiaTX’s integration with the system will allow pharmaceutical companies to write their products directly into the blockchain, thereby addressing issues of counterfeiting; compliance; supply chain conditions; traceability and recalls. Providing the product authenticity in the blockchain enables pharmaceutical companies to address counterfeit issues, helping to decrease the number of counterfeits on the market, and consequently eliminating adverse effects on the end user. Other elements that could be added to the blockchain, via existing SAP or other Enterprise systems include information from the manufacturer (such as name, serialization and batch number, and expiry date); shipping details; and information from IoT sensors and other smart devices over the course of logistics and transportation process. Together, this information would enable the verification of the logistics process and conditions, the authenticity and provenance of the product; and minimises adverse effects on the end user. A number of customers are already in the pipeline ahead of the company’s Token Generation Event, and the newly signed LOI with KITA Logistics demonstrates the appetite for the adoption of the SophiaTX blockchain across various business sectors, as well as the entry of SophiaTX to the Middle Eastern market. The newly announced co-innovation partnership will see both companies work together to develop a detailed use of case for the use of blockchain transactions to transport pharmaceuticals; design a specific blockchain solution for the industry with connectivity to existing ERP and supply chain applications; and develop the capability to record data from IoT sensors and other devices to monitor transportation conditions through the supply chain. The SophiaTX platform is fuelled by SPHTX (SophiaTX Token), which covers mining and transactions and allows access to the development platform. The Token Generation Event (TGE) will begin on December 5th 2017 and will last for 10 days, with any unclaimed tokens which remain at the end of the TGE proportionally distributed to investors in line with their existing SPHTX stake. SophiaTX is a blockchain platform and marketplace for businesses of all sizes, and the first open source platform to primarily integrate blockchain technology with SAP and other enterprise systems. 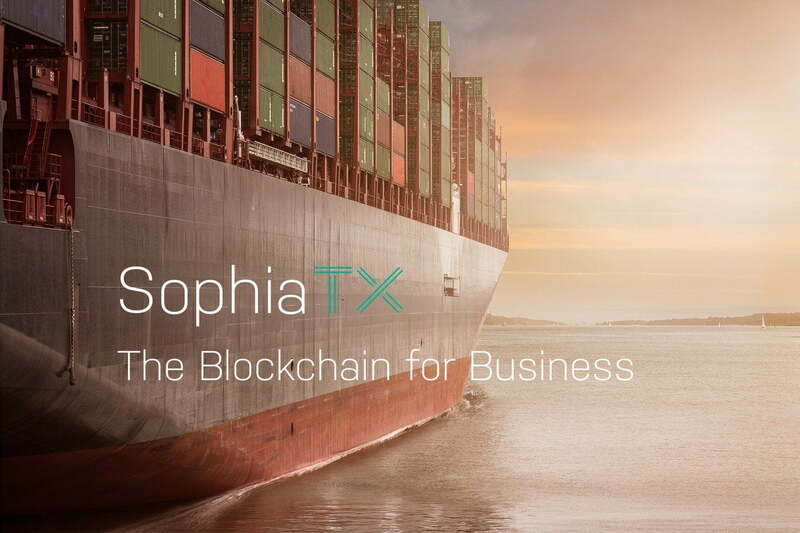 74% of transaction revenue worldwide touches SAP systems, and SophiaTX provides a business-appropriate blockchain for B2B collaboration and communication. KITA Logistics is a leading provider of pharma and healthcare logistics solutions, with twenty years experience in large-scale logistics projects. The company provides solutions for the safe, secure and controlled distribution of time-critical and temperature-sensitive cargos, medical equipment and appliances with specialist pharma SOP and working instructions.